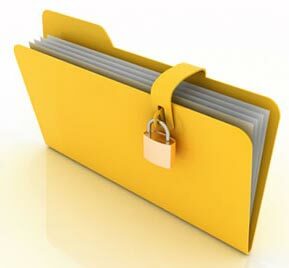 Hi friends, this article is all about creating password protected folder containing important data. For using this trick there is no requirement of any software of application. This trick can be easily implemented using notepad and a folder. Just follow the below given steps and you can create your own password protected folder in minutes. How To Create Password Protected Folder ? Following these steps will create password protected folder. How To Further Secure ? You might be thinking that anyone can access the password by opening that lock.bat file in Notepad or any other text editor. To make it more secure hide lock.bat in some secure location after following the above tutorial To access the secured file double click on lock.bat. I would suggest copying lock.bat file into Pendrive and copying it into your computer whenever you required to access to your password protected folder. Hallosir maine con folder create kiya, or by mistake maine apna sara data cut krke con folder me paste kr diya or ab con folder open hi nahi ho raha hai . Sir plz help me…..